can order online and pick it up at the store. I ordered mine yesterday I cant wait. fyi DC sports is owned by AEM. I told myself I was not going to get an intake waste of money. I purchase a new oem air filter 2 months ago, but I started to miss the sound from my old TL that had an intake. Then why not just remove the resonator and achieve the same sound? If you plan to do more mods in the future, that's when you'll get the most performance benefit from an intake. Apparently the stock TL system is pretty good. 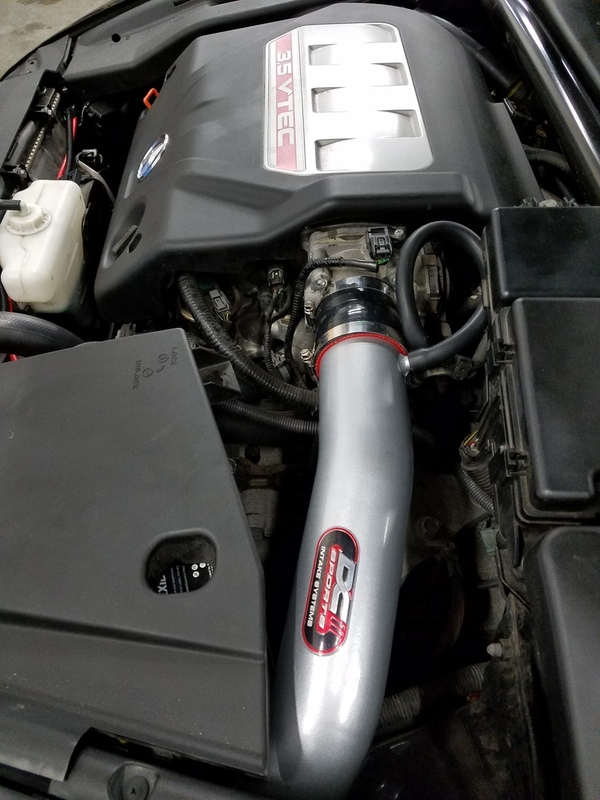 Same aftermarket intake (believe the K&N) claims a 10 hp gain on the smaller Accord J30 while only 7 hp on the J32 TL. Well, I originally found the DC one YEARS ago on amazon, but they went out of stock indefinitely. I've spent 100 on much stupider things so nice find! I enjoy my AEM, but I kinda liked my OEM intake with the conical filter strapped to the resonator tube aka poor man's CAI. Although the weak and tearing oem intake tube would be enough motivation to change to a real CAI, I would presume. The one on my black car tore twice. 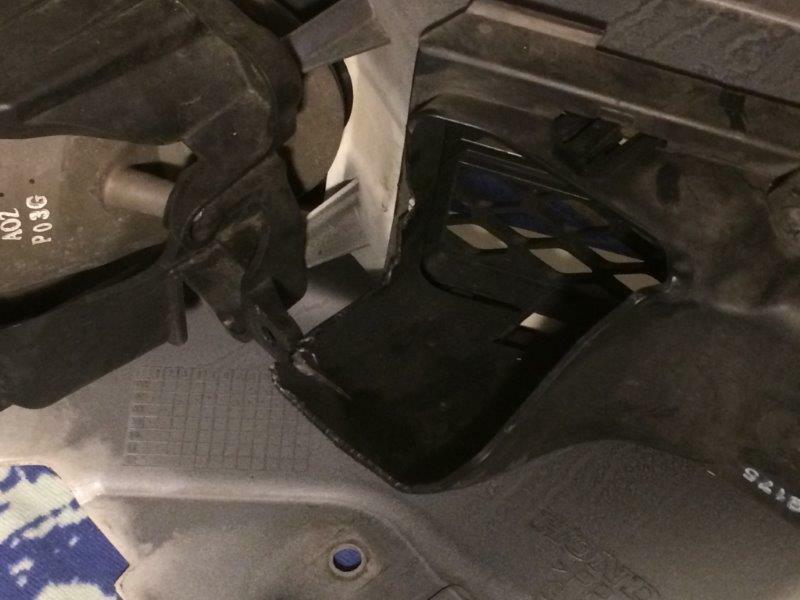 Is it true that these intakes let in more dirt into the engine? Or is it so small of a difference compared to stock when it pertains to filtration that it is not a concern. LOL...they don't let in dirt, they flow well! i could careless about gains.. i wouldnt expect much anyway from just a pipe.. however how is the sound it produces? i have the intakes resonator delete already but it still sounds pretty tame.. ive heard a aem v2 on a tl and it sounds much more aggressive and deep.. anyone know how this dc sports cai sounds? 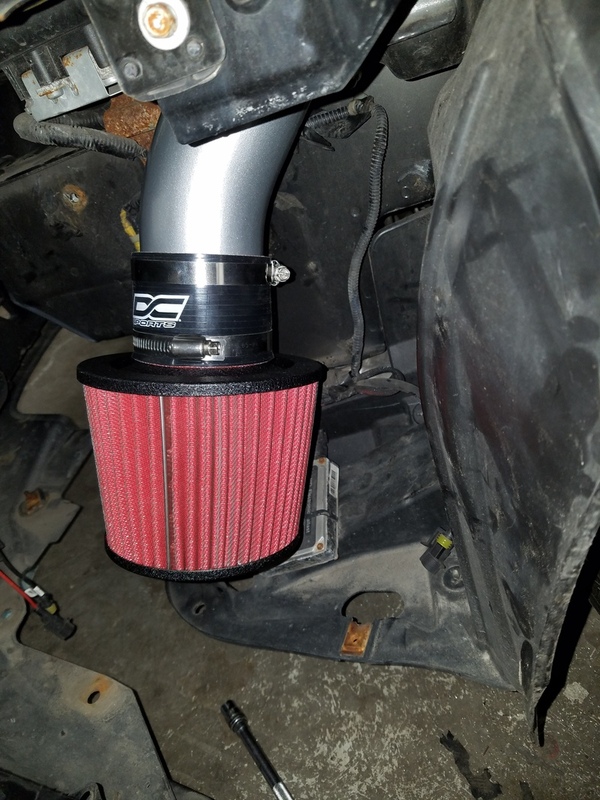 Ordered this intake. Question is i saw a tutorial for installing one of these on youtube where the guy cut open a pathway in the bumper or something to allow for air to go straight to the intake instead of up the bumper. Anyone can confirm if this is the case and if so where to make the opening. on the flip side, you'll likely be having to clean that filter a LOT of it's directly in the path of everything on the road at 1 foot. I have the aem and it makes a sweet sucking sound. 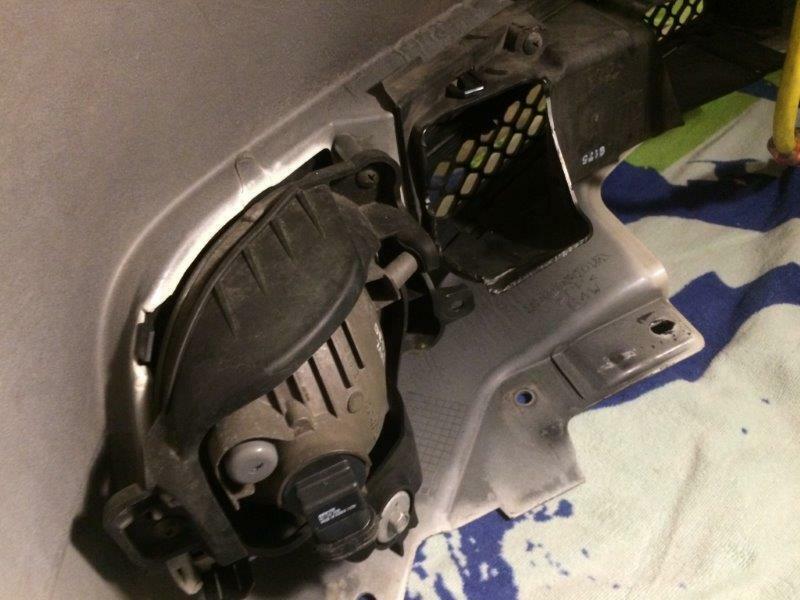 When you installed your intake did you cut open a pathway? Is it okay to just leave it as is and just install the intake? Im guessing the intake will still get sufficient air coming in without cutting anything right? i've seen one person cut a hole in the bumper but that's just ridiculous looking and i don't recommend that. that's a clean way to do it. I'll probably leave well enough alone, for the time being. yeah good setup there helps with the flow. Not a bad price for a CAI. I dont plan to open my hood so chopping up the OEM intake was good enough for me. Yea this is exactly what I saw in the youtube video. I wouldn't mind doing this if there aren't any negatives to it. Would this make the filter dirtier? How's your experience been? 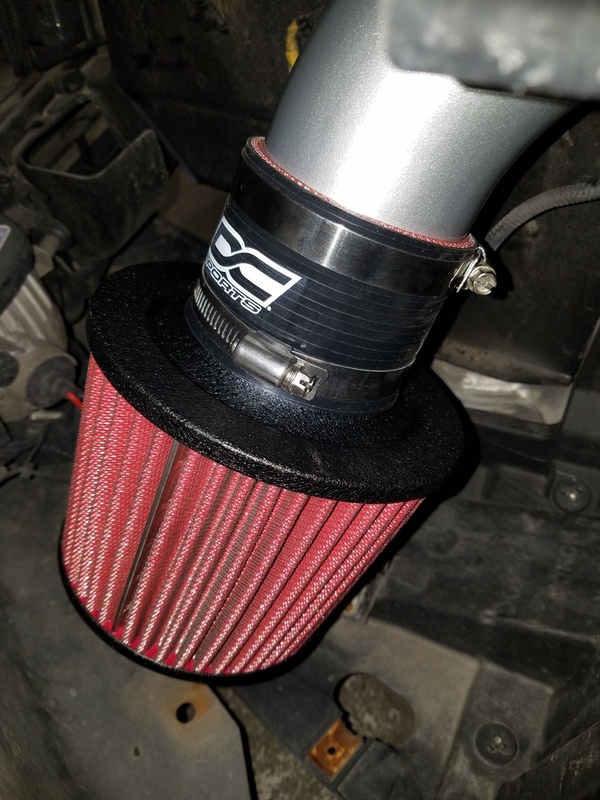 I read on another thread about this intake that some people had issues with fitment specifically on a type s. Will this intake work with type s? I read it hits the bumper and fog light. but it came on the car already. worst case, just dremel out that half of the bumper entirely for clearance! I read when using the vibration mount it's even harder to get the bumper on perfect with this intake. Some people didn't use the vibration mount. Is the vibration mount necessary? If you do use a vibration mount, when the engine is under load at higher rpms the engine has some movement in it, wouldn't that cause stress on the pipe? I also read with some slight bending of the pipe it clears fine. when the bumper is on. I was able to reach my hand in there and it has good enough space not rubbing on anything. Now to sell your stock to recoup the costs! Nice! Did you relocate grounds and use the vibration mount? I know, I'm full of great ideas. Are you going to try and find a smaller hose for that one you had to bend all crazy? Looks great! Yeah I am and a few clips I left out. I was so exhausted after the installation. E39 yeah I installed the damper where the ground goes. Feel free to post a FS thread in the Black Market. I bought my TL-S with a CAI. I don't like that the filter is so low. Worried that water will get into it. I'm thinking of either making it a short ram or buying one. I did my fog lights yesterday and when i saw how dirty the filter was, it made me rethink its position. Go back to stock and sell your CAI.